When you have a fancy for a certain artist, you probably can't wait to download many photos, music songs and videos to your Android phone, so that you can freely enjoy yourself whenever you want and wherever you are. But someday when you find that your device is fully packed, you should need to delete downloads on Android so as to free up some space. Deleting some downloads can be easily done within the device itself, but if you want to permanently remove Android downloads, you could possibly need to get a professional tool. And this Android Data Eraser is surely your best choice, which allows you to easily delete downloads on Android phone, with zero possibility of being recovered. It can support all types of Android files such as contacts, messages, photos, videos, movies, apps and many more, as well as all brands of Android devices like Samsung, HTC, LG, Motorola, Sony and so on. 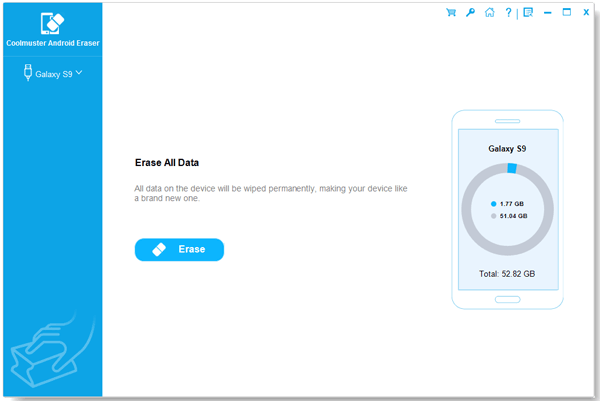 One single tool can be the lifelong data eraser for all your Android phones and tablets! 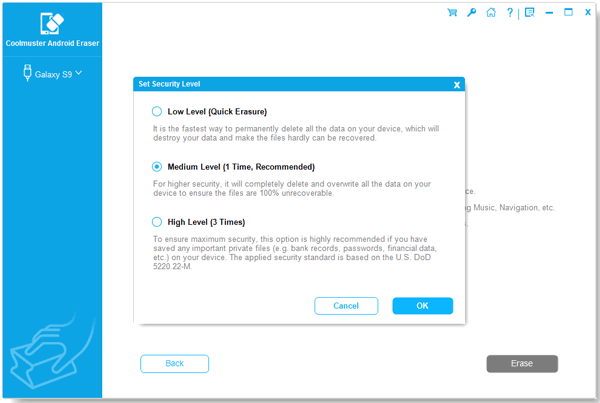 To start with, open the installed software on the computer and then get your Android device connected to the computer via the USB cord. After that, it will detect your device and display all file folders on the main interface. After choosing the right erasing mode and erasing level, you can now enter the file tabs on the left panel to preview more detailed file information. And then tick out the files as wanted and needed. Finally, hit the Erase option to delete downloads on Android in one click. With this Android Data Eraser software, you can permanently delete any unwanted downloads on Android. That's especially helpful in terms of removing files containing your personal information.